Bronwyn Bishop the now deposed former speaker of the house has suffered blows to her preselection with both deposed former Prime Minister Tony Abbott and current New South Wales conservative right-wing Premier Mike Baird providing writing references in support of a Liberal party man, Walter Villatora, expected to run against her. Mr Villatora is a former campaign director for conservative right-wing NSW Premier Mike Baird and president of the Warringah federal conference, in the deposed former Prime Minister Tony Abbott’s seat. The former deposed prime minister supported the former speaker during the scandal regarding her miss use of government money. 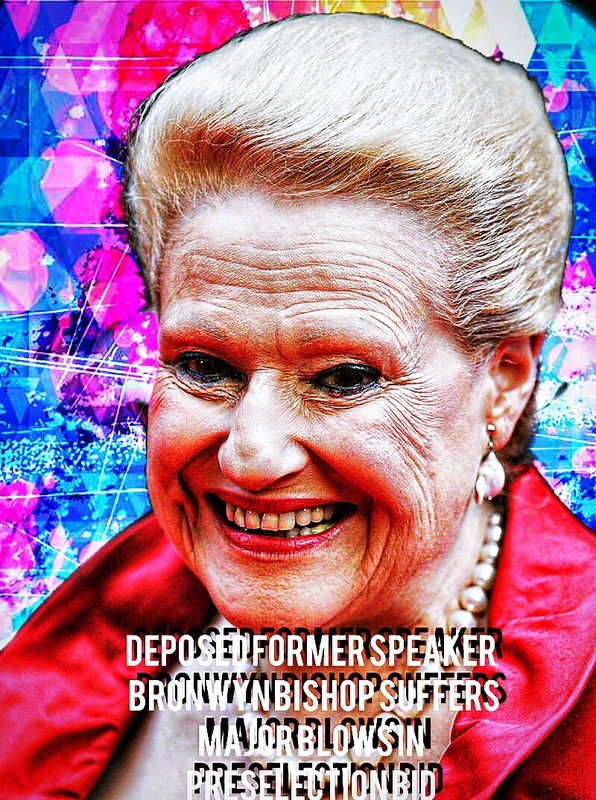 Mrs Bishop later turned on the former deposed prime minister and voted against him during Turnbull’s coup to become Prime Minister.